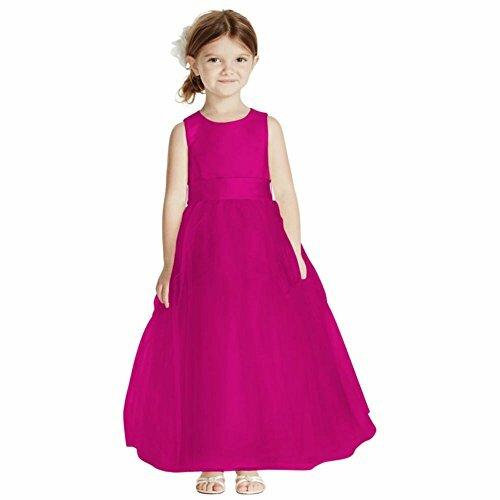 Make the little miss feel as special as can be in this sleeveless satin flower girl dress with a full tulle skirt. Polyester Removable sash Back zipper; fully lined Dry clean Imported Includes sash in same color as dress Perfect for First Communion! View More In Special Occasion.